Frugal traveling often demands some creativity, and in my search for an affordable hotel in Naples, I really had to think outside the box to get a great deal. I checked out priceline.com and hotwire.com, but I did not like the uncertainty of not knowing the hotel, the location or tripadvisor reviews before making my purchase. The beach resorts were completely out of our price range, but I wanted a hotel in walking distance to the beach, and I knew a heated pool would be an added bonus. After studying the reviews on Tripadvisor, I came to the conclusion that the Inn of Naples was the best place for my family. 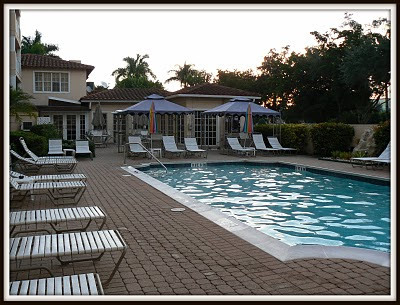 It was about 1 -1.5 miles from the beach, it was close to downtown naples, restaurants etc., it had a heated pool, and all of the reviews were great. 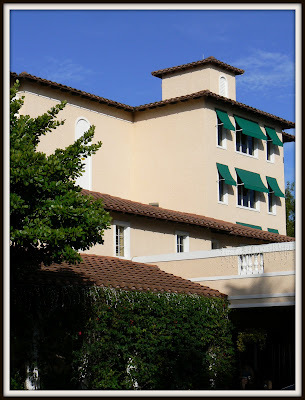 The price for the holiday weekend were $129 per night, which made the Inn of Naples out of our budget, but I decided to give their Suggest-A-Rate option a shot. I did some research, and I found an ad on Roomsaver.com, and I looked at other discounts. I finally emailed them my price, and less than an hour later they responded that they would accept my price. We ended up getting a two night stay for the price of one, which I was very excited about, as it was only $2 more than the price for a night at the campground. While all the reviews I had found were great, I was still a bit nervous as to what we would find, but the hotel surpassed my expectations. 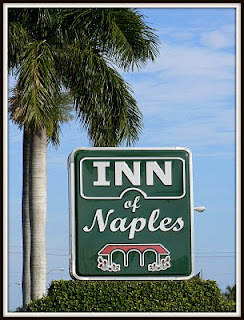 When we checked in at the Inn of Naples, we received a room on the fifth floor. It was rather small, and while the balcony view was great, I did not feel safe about it with my boys around. I went downstairs to ask for a room change, and I am so glad that I did. The second room that we received was on the first floor, with a nice little patio with an exit out to the pool area. The room was huge, with two nice-sized beds, a little kitchenette and a very nice bathroom. Everything was clean, new and it sure felt like luxury to us. I did not get to take any photos before my boys had jumped in the bed, but everything surpassed my expectations. The pool was the highlight of our trip, and my oldest son even learned how to swim. The pool area was kept very clean, and while I was expecting mosquitoes I did not see a single one. 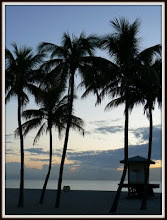 On our first morning at the Inn of Naples, I woke up before everyone else and went for a 45 minute swim. It was a crisp South Florida morning, and the steam rose up from the heated pool making it look magical. The Inn of Naples has a small exercise room, but I did not get to use it as the pool was my preference. The hotel offers a complimentary breakfast, and this one surely exceeded my expectations as well. With a selection of bagels, donuts, muffins, English muffins, toast bread, boiled eggs, fruit, breakfast cereals and the best of all hot waffles, the breakfast was a huge hit in our family. Coffee, tea, orange juice, apple juice you name it, almost everything was there. The breakfast was very popular among the guests, and while it was busy, there were still plenty of seating room both inside and outside, and everything was kept clean, neat and well-stocked at all times. 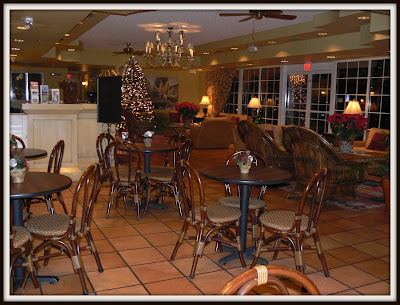 The lobby was extremely welcoming, and it offered a comfortable seating area. 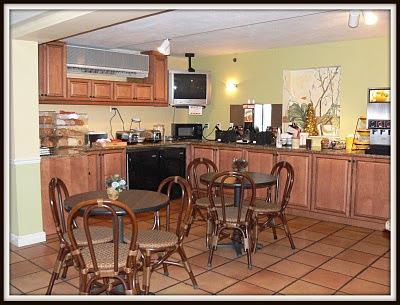 There is free wireless Internet in the rooms, and in the lobby there are two computers available for guests. The rooms were kept clean, and we have no complaints about the cleanliness or the maid service. The management staff were courteous and helpful, and we took advantage of the free clean pool towels every day. I can highly recommend the Inn of Naples, and my only regret is that we could not stay any longer. The hotel is located off 41 about five miles from downtown Naples, about 1 1/2 miles from the nearest public beach and it is in close proximity to all shopping and many activities. You can find out more information about the Inn of Naples at their website, and you can read many great reviews at Tripadvisor.com. This 3 star hotel gets 4 1/2 stars out of 5 at Tripadvisor.com, and it has 104 reviews listed.